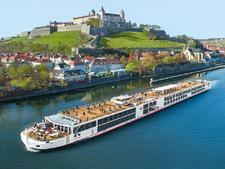 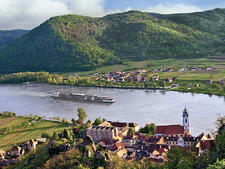 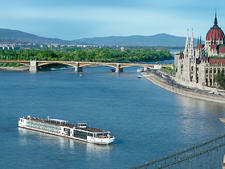 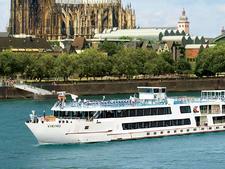 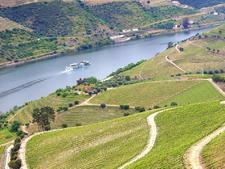 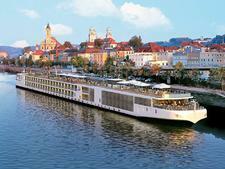 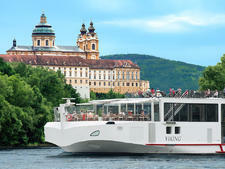 Viking Akun is one of five vessels currently operated in Russia by Viking Cruises. 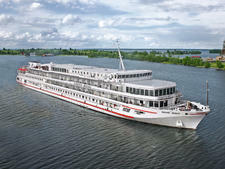 First launched in 1990 as Marshal Koshevoy, it was renamed by Viking and completely refurbished in 2013 to bring it in line with the standards of the company's European vessels. 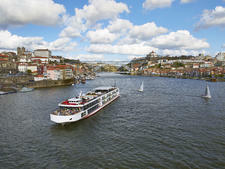 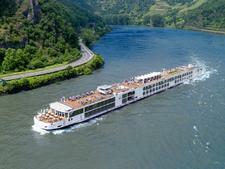 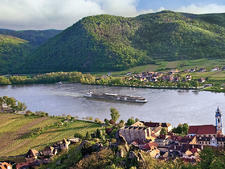 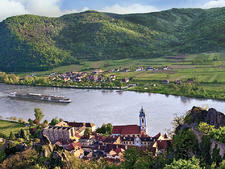 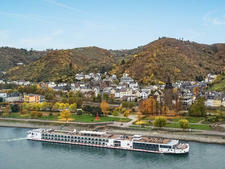 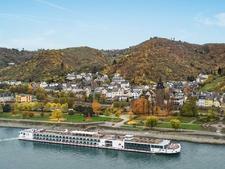 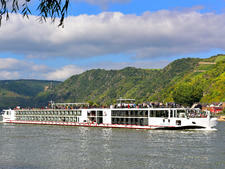 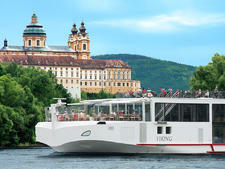 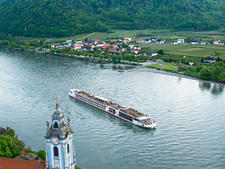 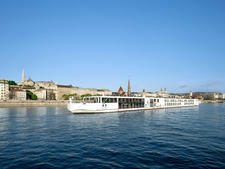 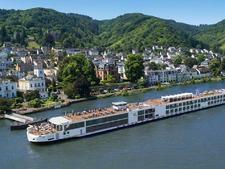 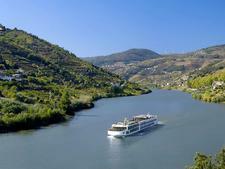 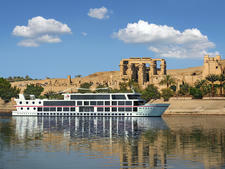 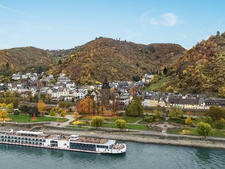 Although Viking is best-known for river cruises in Europe, founder Torstein Hagen started the company after buying four ships in Russia in 1997 and Viking has the only Western-owned fleet in Russia. 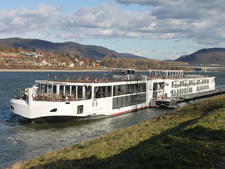 The 102 cabins, located on three passenger decks, are river facing and all cabins on the middle and upper decks have balconies. 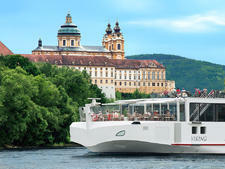 The upper deck has 35 Veranda cabins, measuring 225 square feet, and two one-room Junior Suites, situated forward, which measure 337 square feet. 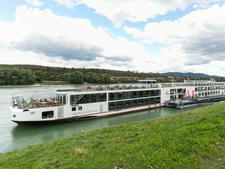 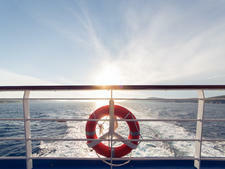 On the middle deck are 32 Veranda cabins measuring 230 square feet and two Suites, located at the front of the vessel. 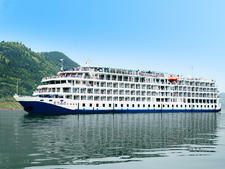 These are the largest staterooms on the ship and measure 400 square feet with a combined sleeping and sitting area. 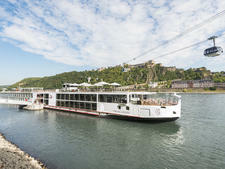 The 31 Deluxe Cabins are all situated on the lower main deck and measure between 140 to 160 square feet. 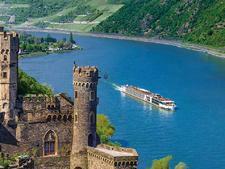 They all have a picture window set in the wall that can be opened. 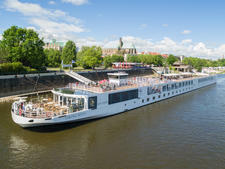 Following the refurbishment, all the cabins have the same sleek Scandinavian styling that can be found on Viking's river ships, with muted color schemes and comfortable amenities including hotel-style beds -- with optional twin-bed configuration -- ample storage and well-equipped bathrooms. 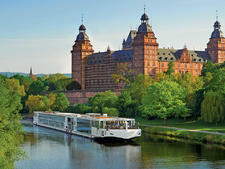 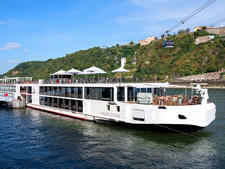 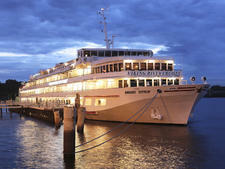 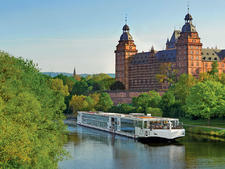 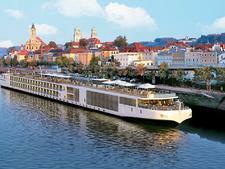 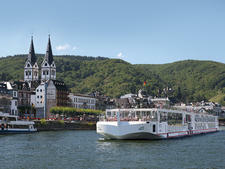 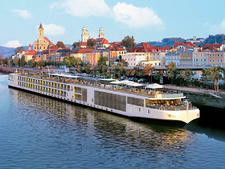 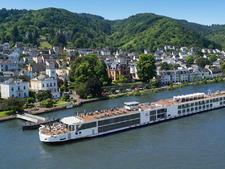 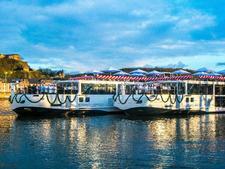 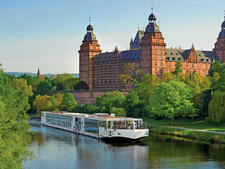 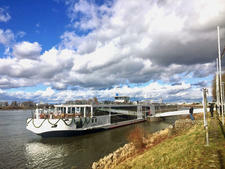 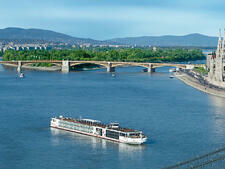 The Neva restaurant is located aft on the middle deck and offers panoramic views. 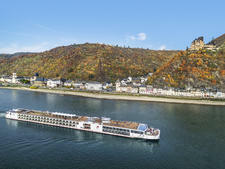 There is a buffet-style breakfast, with a wide variety of hot and cold dishes plus omelets and other items cooked to order. 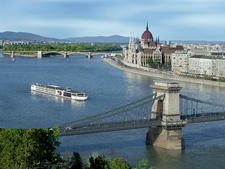 Lunch is a combination of buffet and table service and the evening meal, of up to five courses, is served. 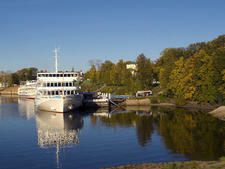 The menu features Russian regional dishes and Western food, plus "always available" options including steak. 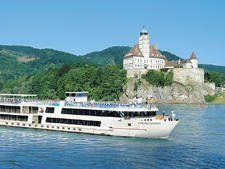 There is a complimentary tea and coffee station, available 24/7, and snacks are available during the day. 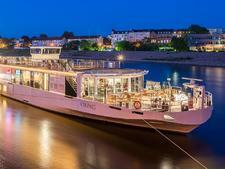 The Panorama Bar is situated forward on the upper deck and is also used for talks and presentations. 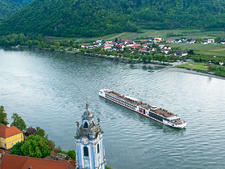 Itineraries are culture-rich, and passengers can expect insightful lectures on Russian history, geography and politics along with fun events such as vodka tasting. 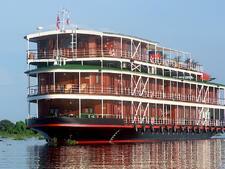 Other facilities on the Akun include a sun deck, full walkaround promenade deck, library, shop, laundry service, resident onboard doctor and free Wi-Fi. 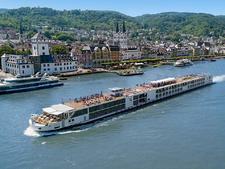 An elevator connects all passenger decks. 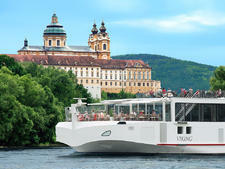 Viking is an adults-only cruise line, and passengers must be 18 to sail. 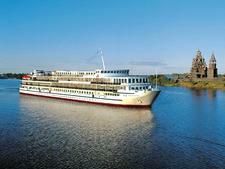 Viking Akun sails on the Russian waterways between St Petersburg and Moscow, including the Volga River.